Many of us spend time trying to make healthy choices for ourselves and our families, selecting what we think are wholesome nutritious foods. 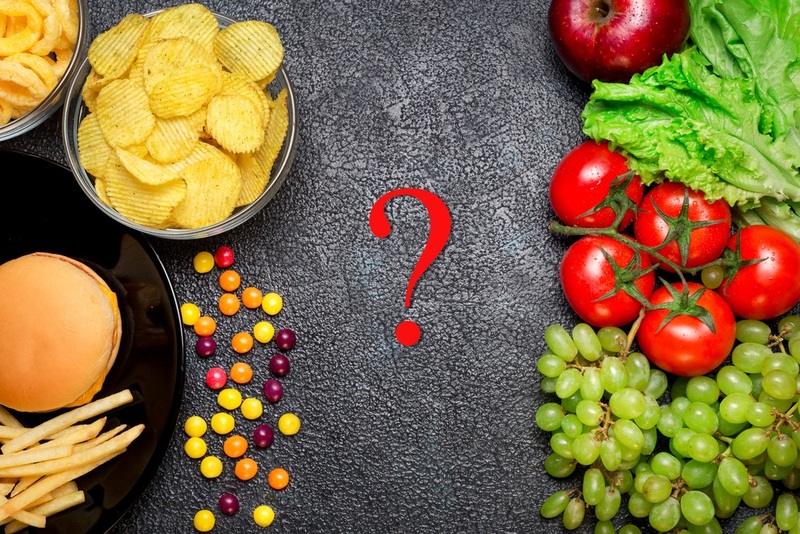 While most of us are aware of these common differences between healthy vs unhealthy food groups – such as broccoli and pizza – other consumables aren’t as clear. Unfortunately, many snacks that are marketed as ‘healthy’ actually contain hidden nasties that make them anything but. Today, we explore the seemingly healthy foods you may want to reconsider during your next grocery shop! The truth about carbs - Where do they sit? Below is a roundup of foods that may surprise you for not being entirely as healthy as you thought. This could be because they have lots of sugars, sodium or bad fats. Processed dried fruit found on supermarket shelves is loaded with sugar which, if not burnt off throughout the day, is converted to fat. 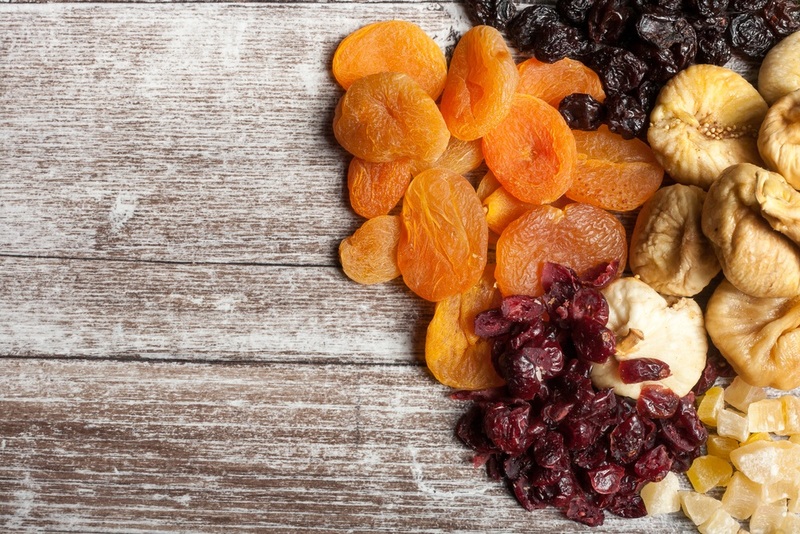 A healthy diet should only include 1-2 serves of fruit per day, so munching on a bag of sugary dried fruit isn’t the best idea, especially if you are trying to lose weight. Because much of the sugar content from dried fruit is fructose, it can increase of risk of heart disease and diabetes. Even worse is dried fruit with added sugar, often referred to as ‘candied’ fruit. Some of these products coat the fruit with extra sugar or syrup before heading to the drying process. Avoid them at all costs. Health gurus often tout agave and coconut nectar as a better alternative to traditional sweeteners like sugar and honey. Unfortunately, nectar reacts the exact same way to sugar inside our body, so isn't quite the healthy option it's made out to be. But what about other claims of health benefits, such as coconut nectar containing other nutrients? Unfortunately, these claims are likely untrue and may be used by brands as a marketing technique. In fact, some studies have found that coconut nectar contains more calories per teaspoon than table sugar. At the end of the day, nectar is still a sugar and, therefore, not essential to our diets. Even if they’re filled with fruits or vegetables, or are made with seemingly healthy ingredients like oats or bran, muffins are still calorie bombs that are loaded with sugar and fat – similar to cakes. Many muffin recipes use all purpose flour containing zero fiber. This is even worse if you eat muffins for breakfast, as without an adequate intake of fiber, you won’t feel full (leading you to indulge again). This why it’s so important to know what goes into your muffin, if you can’t live without them. The supermarket cereal aisle generally contains two major ingredients: processed wheat and sugar – and boy, does your average cereal have a lot of sugar! Even cereals marketed as ‘organic’ or ‘healthy’ often contain high levels of salt and sugar. Be careful, and read the nutritional labels, not the marketing. For example, in 2015, Choice compared different Australian cereals marketed to children in different criteria. Even cereals with a 4 Health Star Rating contained large amounts of sugars and sodium. It just goes to show that these ratings are no guarantee of a healthy food option. It may seem like a convenient and healthy lunch option, but packaged processed meats could be endangering you and your family. The World Health Organisation has listed processed meat as a known carcinogen (which means ‘cancer-causing’). 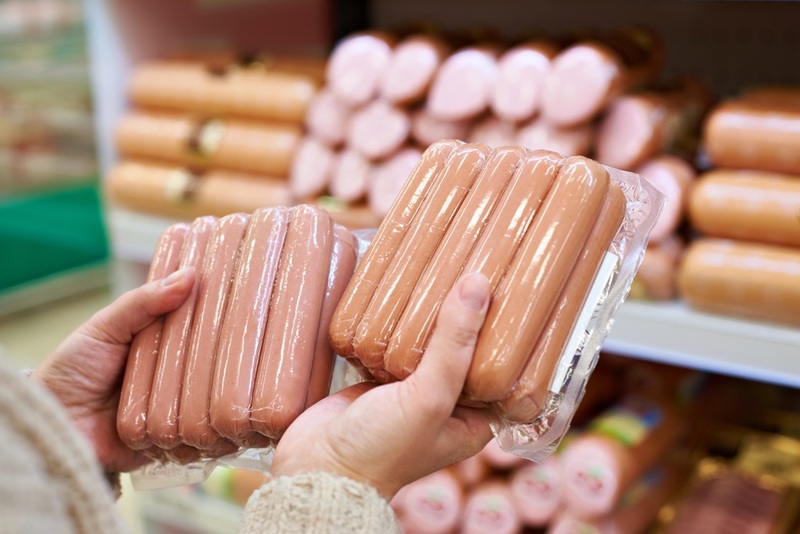 Processed meat refers to items such as hot dogs, ham, salami and sausages. Effectively, if the meat has been treated in some way – such as salting, curing and smoking – it’s been ‘processed’. And while meat can have health benefits, it’s all about moderation and trying to avoid extremely processed meat food groups as much as possible. The makers of fruity yoghurts that often claim to be ’99% fat free’ have to introduce some kind of additive to counteract that lack of fat. Often, that additive is sugar. Your average single serve of yoghurt can contain up to 20 g of sugar. If you’re having this type of yoghurt for breakfast, you may find yourself craving even more sugar throughout the day! It’s best to opt for the healthy, plain variety yoghurts and add flavour yourself with fresh fruit and spices. Often added to lunch boxes as a healthy snack, muesli bars often suffer the same spin as cereals, being loaded with sugar, but using buzzwords like ‘natural’ and ‘ wholegrain’ to mask it. Added sugars and fats are prevalent in many of these products, as are the different food additives used to improve taste and shelf life. Like other items we mentioned previously, you’re much better off making your own muesli. This allows you to control the ingredients and ensure that you’re snacking on something healthy. A glass of fruit juice in the morning, a strawberry milk with lunch, a soft drink after a bounce on your trampoline and an energy drink after a sports match… How often do you stop to think about exactly what’s in those everyday drinks that you and your kids are consuming? Branding and advertising often sway us to think that certain products are healthy, and are therefore okay to consume on a daily basis. However, as you may have read above, this is far from the truth. Orange juice is perhaps the most deceptive 'healthy drink' there is! Oranges are a fantastic source of Vitamin C, which assists the immune system and the growth and repair of tissue. It’s probably also why we hear this question raised so much: is orange juice healthy? Many commercial juices are loaded with refined sugar. 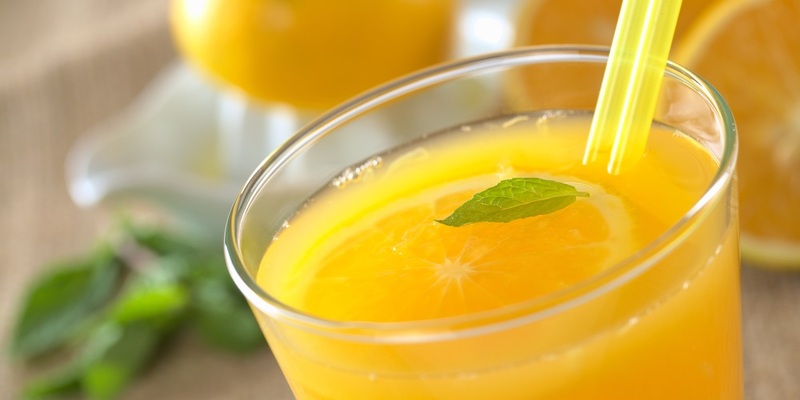 One serving of your average orange juice contains the equivalent of five teaspoons of table sugar. Not only that, completely 'juiced' fruits are essentially liquid sugar, even without additives. They’re essentially a combination of sucrose (table sugar), glucose and fructose. Eating as much of the whole fruit as possible is what provides the most nutrition – especially fibre. When choosing orange juice, pulpy options are always best. Steer clear of products labelled ‘fruit drink’ or ‘fruit cocktail’ – as they don’t contain much real orange – and look for labelling like ‘no added sugar’ or 'organic'. Tip: Use a juicer at home for a more nutrient-dense and refined sugar-free fruit juice. 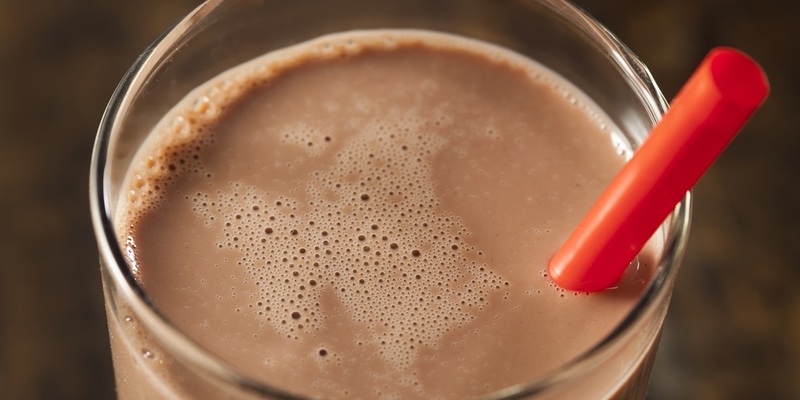 Flavoured Milk - Is Chocolate Milk Good For You? While it does contain protein needed for strong bones, at seven teaspoons of sugar per 300 ml serving, a small glass of flavoured milk is both a high sugar and high fat option. If you think that’s bad, the flavoured milks on the market today are often sold at double that size or larger – often in 600 ml and 750 ml varieties. Diabetes QLD has also noted that people who drink flavoured milk have a heightened risk of type-2 diabetes, regardless of their body weight. It’s important to know that a single flavoured milk can contain an entire’s day worth of sugar in one serving. Tip: Make DIY chocolate and maple milk by whipping up your own milk syrup. You only need four ingredients: water, maple syrup, cocoa powder and vanilla extract. Often advertised as improving energy levels and concentration, energy drinks have spiked in popularity over the years. Unfortunately, they can also come with many health consequences. Energy drinks have been linked to cases of heart palpitations, irregular heartbeat and increase blood pressure. This is no surprise, as one of the key ingredients found in energy drinks (outside of their large sugar contents) is caffeine. They’re also very easily consumed, thanks to their sweet taste and the feelings of increased energy that they provide. 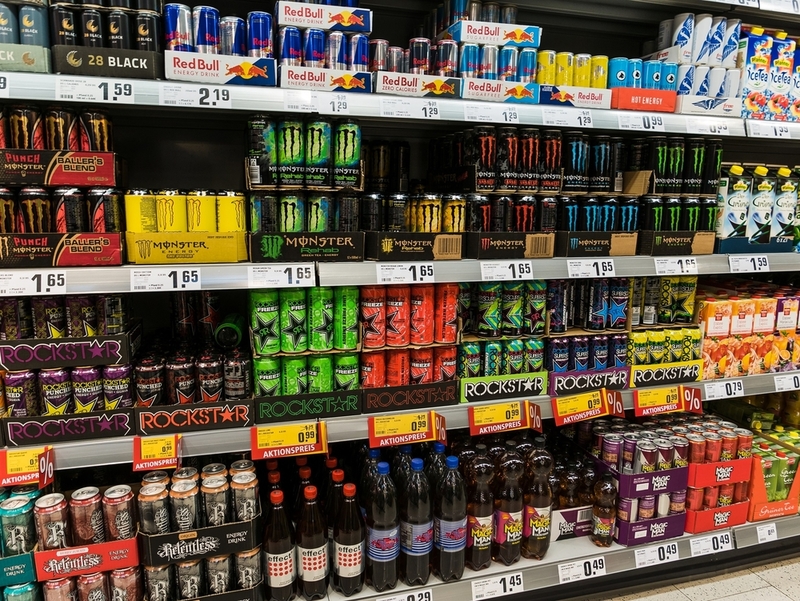 There are well-known cases of individuals becoming reliant on energy drinks, with this ‘addiction’ stemming from consuming the drinks as a child. 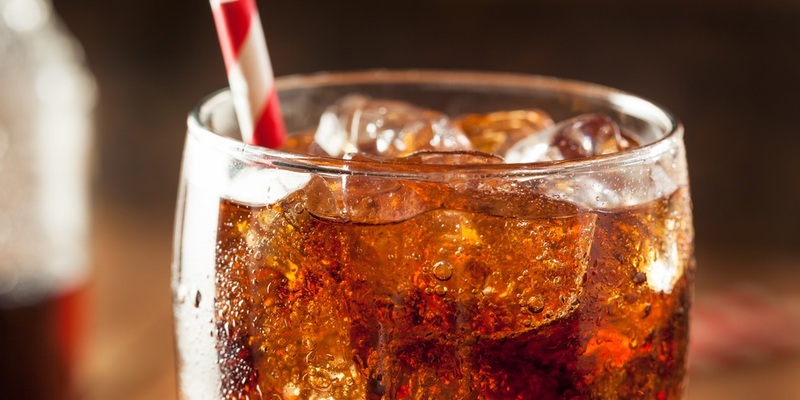 There’s no hiding from the most obviously unhealthy beverages: soft drinks. They combine the worse things we have listed above, including high sugar levels, with zero nutritional value. This means all you are getting when sipping down on soft drink is sugar and unnecessary calories. And similar to energy drinks, addiction can be a real issue. Our brain releases the pleasure feeling chemical dopamine when we consume sugar. This can then lead to levels of over consumption, using soft drink to continually trigger more and more dopamine. It’s important to remember that in strict moderation, having soft drink is totally fine, but avoid you and your family having it regularly! Tip: If your family really has a thirst for the fizz, use mineral water and natural fruit flavourings to create fun and healthy combinations. We see it every day: children drinking brightly coloured sports drinks after footy practise, before a weekend match or at lunchtime with their tuckshop order. Because of this, we thought it best to separately cover sports drinks in a little more detail, to determine what’s in them and if they are a healthy addition to your diet. Sports drinks first originated in 1960s, when scientists were trying to determine how to keep athletes hydrated for longer. They discovered that after periods of intense exercise – when we lose lots of water as sweat – an athlete’s stores of electrolytes and carbohydrates would be very low, making them fatigued and lethargic. Electrolytes and sodium are necessary for achieving optimal hydration, assisting with delivering fluids quickly and to the correct places in the body. 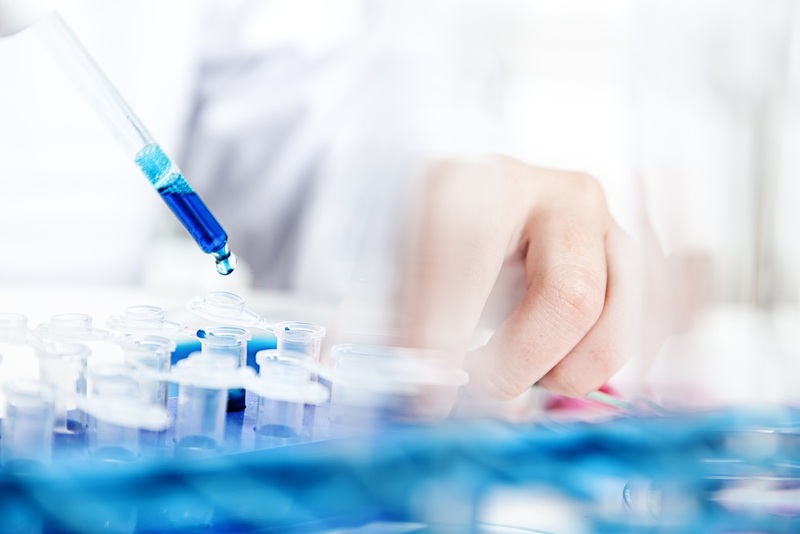 By adding these additional ingredients alongside some sugar, scientists achieved the ultimate hydration fluid for sports competitors, which would refuel their energy levels and keep them hydrated. These days, sports drinks still contain electrolytes, sodium and sugar, however the sugar content has either been increased to improve taste, or replaced with an unhealthy artificial sweetener. Artificial colours and flavours are also commonly added, which have adverse effects on some children. For the average person doing an average amount of physical activity, sports drinks are not needed. They fill your body with unnecessary amounts of sugar and artificial additives, which are generally a no-no on the wellness front. 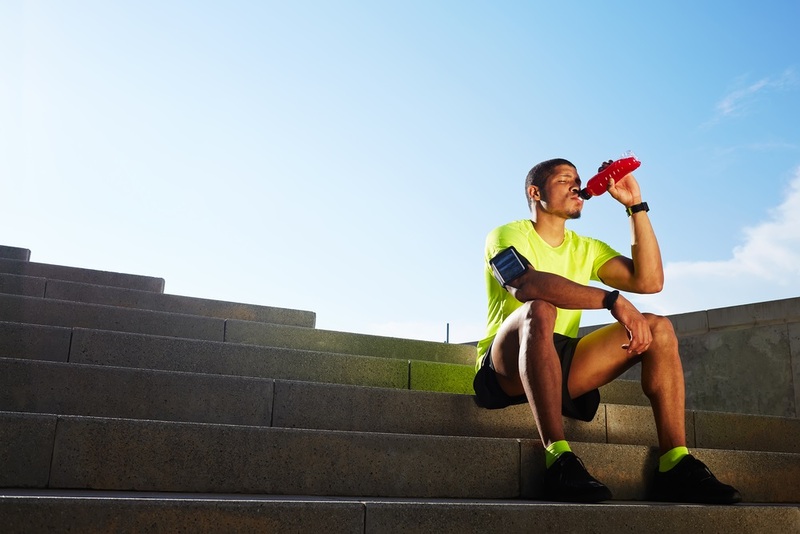 However, if you or a family member has completed 60-90 minutes of intense exercise in hot conditions, then a sports drink may assist with becoming properly hydrated. Just remember, you need to be burning off the sugar in the drink through exercise to ensure that it isn’t converted to, and stored as, fat. A fantastic natural sports drink alternative is coconut water, which is loaded with electrolytes and has brilliant hydrating properties. If you or a family member requires a sports drink, why not go down the natural route and opt for an icy cold coconut beverage? And finally we come to carbohydrates, better known as their abbreviation, carbs. So where do they sit in our review of healthy and unhealthy foods? Carbs would have to be one of the most demonised food groups on the planet, with many people believing them to be the sole causal link between their eating habits and those un-shiftable kilos. But how much truth is actually behind the claim that ‘carbs make you fat’? And is a low-carb diet really the best option for your health? Carbohydrates are one of three macronutrients that our body converts into energy (the other two being fat and protein). When our body breaks down carbs, it creates glucose, which is essential for brain function. Without it, we would be left feeling sick and fatigued, potentially leading to accumulative health issues. Carbs exist in two forms: complex and simple. 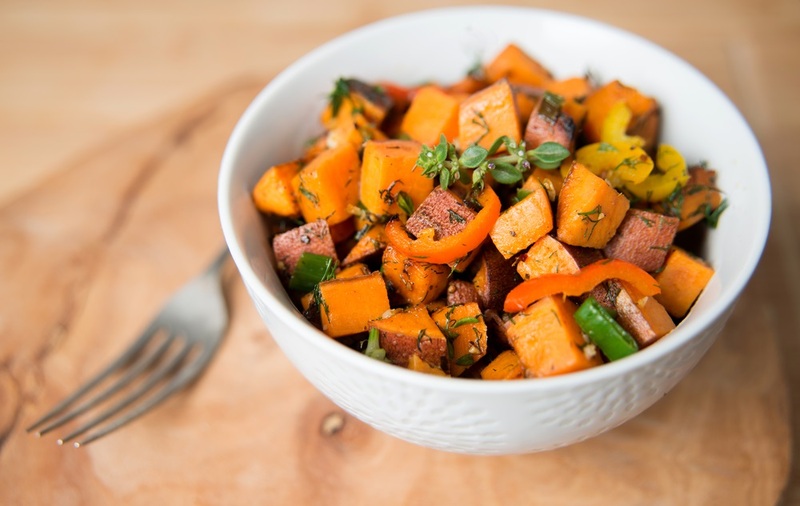 Unprocessed complex carbs, such as sweet potato, oats and ancient grains, are low GI, which means that they take longer for our body to digest. This keeps our tummies full and cravings in check. Processed simple carbs – like pasta and bread – are in the group with a bad reputation, as they aren't as good for our health. This is because simple carbs aren’t as nutrient-dense – meaning they're not as full of health promoting vitamins and minerals – as their complex counterparts. They aren’t as good at sending the “I’m full” signal to our brain, which makes it easy for us to overindulge. Do Carbs Make Us Fat? The problem is not the fact we eat carbs, it’s that many of us overeat them. Compared to our ancestors, we’re eating far greater portions of carbohydrates (with far less physical activity), and just like with any food, if we aren’t burning off the calories that we’re consuming, they’ll be stored as fat. To answer the question? No, carbs do not make us fat. Overeating them is what negatively affects our health. 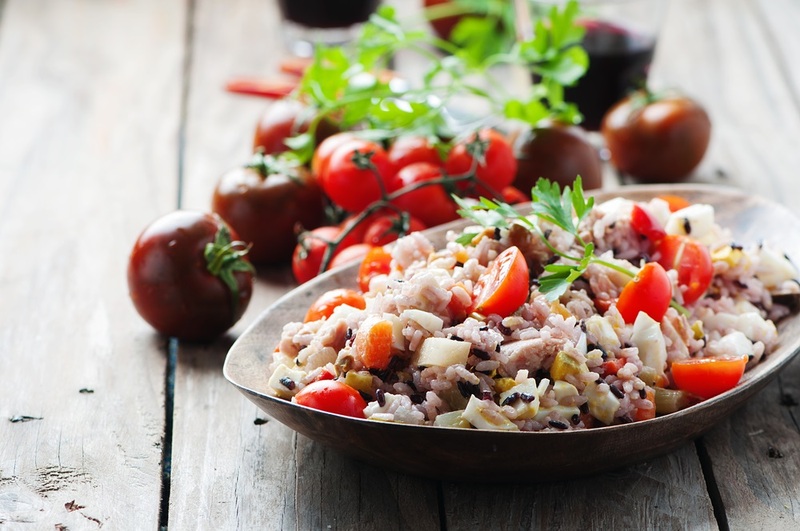 Carbs are an essential part of a health-promoting diet. Not only do they keep our energy levels stable, they also prevent binge eating, which often occurs when we’re following a low-carb diet. Low-carb diets can be beneficial for weight loss, however the results are unsustainable in the long term. Instead of dieting, we should be focusing on eating a whole foods diet, with plenty of fruits and vegetables, lean proteins and hearty complex carbs – plus simple carbs as a treat on the odd occasion. Some of our favourite healthy carbs that you might consider incorporating into your daily diet include brown rice, beans and pulses, ancient grains (like quinoa and barley) and sweet potato. The ‘palm rule’ can be a helpful guide when serving up your carbohydrates. Simply serve the quantity of carbs that would fit into your palm. Remember, limiting the amount of simple carbs you consume is beneficial for your health.